Classroom Freebies Too: Dieting Does Not Work-- But Why Not?? 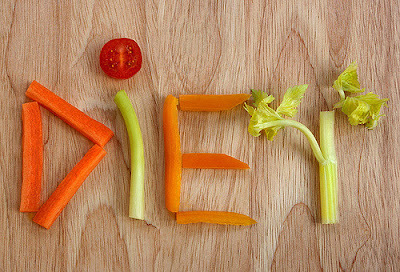 Dieting Does Not Work-- But Why Not?? they (diets) can do more harm than good. The diet industry reads these studies too. Their reaction is to advertise more and to argue that someone isn’t on the correct diet or they lost their weight too fast or too slow and diets do work, if you pick the correct one for you or your body shape. You get the picture. Your brain has a weight-regulation system where your body will remain at a certain weight range; it’s called a set point. It is determined by genes and life experience; not your desire to look like that photo shopped picture in a magazine of someone 20 years younger. There is a far better chance our body will be similar to an aunt, uncle, grandparent or great grandparents. When I was growing up, I knew of two significantly over weight people. I think it had a lot to do with the types of food that was available. There was no fast food industry until McDonalds. There wasn’t a huge soda or snack food industry. We only got a 7-up if we were sick or there was a holiday. There was just breakfast, lunch and dinner with fruit for dessert. Milk was served at every meal and children played before school, during recess, after lunch, walked home and played outside till dark. I remember one fat girl. I even remember her name. Since I was lean, it never occurred to me to not eat so I could be thinner. My generation was about 20 lbs. lighter than children / teens in the 90’s. It had a lot to do with food and lifestyle choices. Circumstances limited our food choices and as a result our food choices were healthier. Circumstances expanded our outdoor play choices and they were healthier as well. Our world has changed, fast food is varied, available, inexpensive, faster and easier for the tired working Moms than fixing a home cooked meal. Quick tasty fast food equals repeat customers. Taste often equals fat, sugar and sodium. Diets don’t work; what works is focusing on being healthy. The law of attraction — Want is what we think and feel. The choices we make are fueled by our thoughts and feelings. What comes into your life will match your thoughts and feelings. Thought: I weigh too much for my height. What should I focus on, my weight or my desire to make healthy choices? Healthy food choices, paying attention to signals of hunger, thirst and fullness. Establish daily habits of exercise appropriate for your age. Make reasonable health choices leading to a healthy body. Make unreasonable health choices and count on managing the outcome. * (The only exception is anorexia nervosa -- which is an unhealthy way to try to cope with emotional problems).